"Stock up on Disney Dream Reward Dollars"
A straight 1% cash back that can be redeemed for Disney tickets, merchandise, and other offerings makes this a Mickey fan's go-to card. The information for the Chase Disney Rewards® Visa® Card has been collected independently by Upgraded Points. The card details on this page have not been reviewed or provided by the card issuer. For you and your family, vacation time is Disney time. In fact, Disney is #1 for you and your brood all year round. You have the Mickey ears to prove it! Lucky for you, the Chase Disney Rewards® Visa® Card makes it simple to earn cash-back so you can spend your rebates at Walt Disney World, Disneyland, Disney Store and more. For the Disney-loving family, the Chase Disney Rewards® Visa® Card can provide extra value and perks that make your trips much more valuable! Enjoy a Disney gift card after your first purchase with the card’s current sign-up bonus for new cardmembers. It’s ideal for a shopping trip at Walt Disney World Resort, Disneyland Resort, Disney Cruise Line and other select locations. With the card, get 1% cash-back on all purchases good for Disney Reward Dream Dollars, which will be worth $1 each. 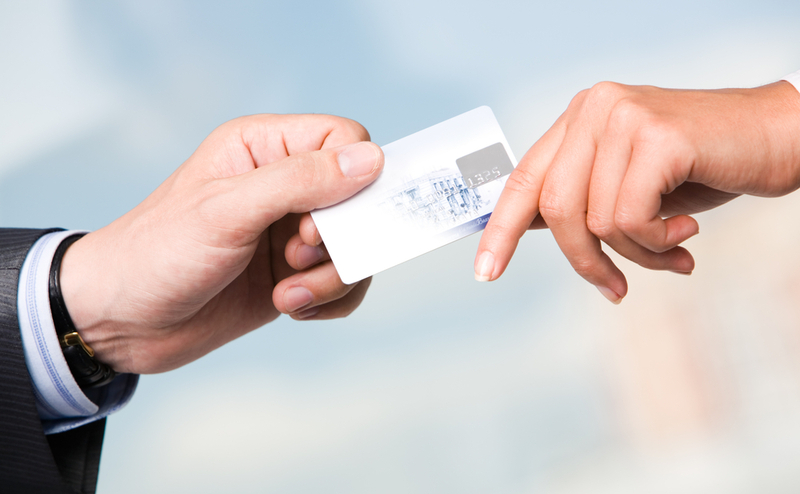 Unlike other credit cards, there’s no limit to the number of reward dollars you can earn! Bottom Line: The Chase Disney Rewards® Visa® Card comes with a decent sign-up bonus and the opportunity to earn a flat 1% cash back. Disney fans, check out all of the perks that come with the Chase Disney Rewards® Visa® Card. First, get 15% off select guided tours at Walt Disney World Resort and Disneyland Resort. Also, get 10% off select dining locations at both resorts. Love Disney merchandise? Get 10% off select purchases of $50 or more at Disney Store and DisneyStore.com, plus 10% off Star Wars merchandise of $50 or more at select Disney properties. That’s not all. Watch the reaction when you tell the kids about the special Disney and Star Wars character private meet & greets, only for Chase Disney credit cardholders. 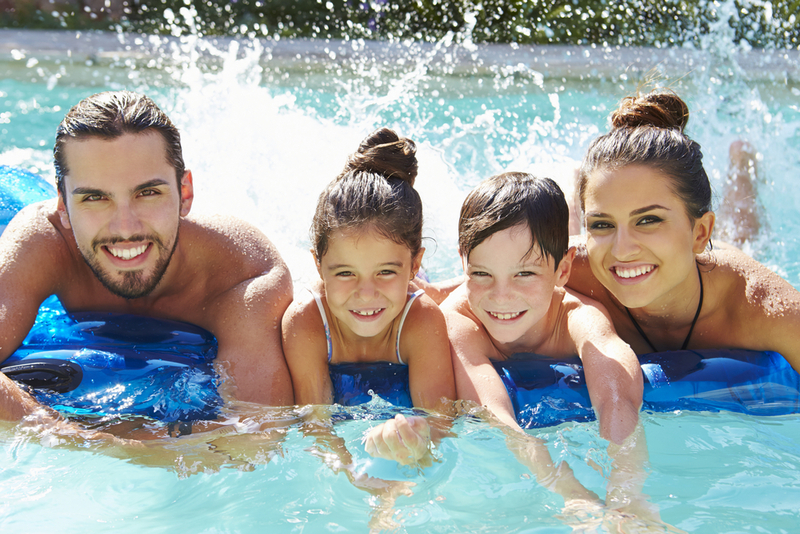 In addition, you’ll get a 0% APR for 6 months on select Disney vacation packages! That’s half a year to pay off the trip of a lifetime. Bottom Line: Special discounts on Disney tours, merchandise, and dining, plus character meet & greets make the Chase Disney Rewards® Visa® Card a dream come true for Disney fans. The card has no annual fee, unlike the more premium Chase Disney Premier Visa® Card, which costs $49 per year. That means you’ll start out ahead of the game earning Disney Dream Reward Dollars to redeem for almost everything Disney: DVDs, toys, movie tickets and more! You can even redeem your cash-back rewards for Disney theme park tickets and services. Of course, a true Disney fan wants everyone to know it. Show off your Disney style with your choice of 10 different Disney and Star Wars designs on your credit card. Finally, for the traveling family, you’ll be glad to know that the card also comes with purchase protection, extended warranty on products, and baggage delay insurance to make sure a lost bag doesn’t ruin your trip! Bottom Line: The Chase Disney Rewards® Visa® Card comes at no annual fee, earns cash-back that is redeemable for anything Disney-related, and has 10 different choices for card designs! You’ll also get a few insurance options, like baggage delay coverage. If you love Disney but want a little more flexibility when it comes to redeeming your points, you might consider the Chase Disney Premier Visa® Card. In addition to Disney benefits, it allows you to redeem Disney Dream Reward Dollars for airline tickets. This card has a $49 annual fee, but you’ll earn 2% back on restaurants, supermarkets, gas stations and Disney purchases. Plus, you get a Disney gift card for the sign-up bonus, which is typically more than the value of this Chase Disney Rewards® Visa® Card offer. If you aren’t going to be using the Disney perks, you can also consider other cash-back cards entirely, such as the Citi Double Cash Card, Blue Cash Everyday® Card from American Express, or the Capital One Quicksilver Cash Rewards Credit Card. Bottom Line: The Chase Disney Premier Visa® Card offers 2 ways to spend your Disney Dream Reward Dollars: on Disney products and services, or for airfare. The Chase Disney Rewards® Visa® Card only allows you to redeem your cash-back for Disney rewards. With 1% cash-back rewards in the form of Disney Dream Reward Dollars and no annual fee, there are no actual downsides to owning this card. It would be quite valuable when going to one of the Disney parks, due to additional perks like the 10% merchandise discount and 15% guided tour discounts. Perhaps most valuable are the character meet & greet offers, which might be what makes your kids the happiest! Finally, you get purchase protection and extended warranty for any merchandise you purchase, and baggage delay insurance to ensure your trip stays on track. Bottom Line: The Chase Disney Rewards® Visa® Card does not have any downside since it doesn’t carry an annual fee. Perks like the 10%-15% discounts on a variety of merchandise and services along with character meet & greet opportunities make this a valuable card for the Disney lover! Because you earn a flat 1% for your purchases with the Chase Disney Rewards® Visa® Card, it’s tough to find a way to increase your cash-back each month. If you are committed to earning Disney perks, it’s best to use the card for all of your monthly spending so you max out the value. Spending $2,000 will accumulate 20 Disney Dollars, which is enough to request a Redemption Card so you can redeem them. That’s a lot of purchases, but if you use the card for everything the 1% can add up! When you use your Chase Disney Rewards® Visa® Card for all your purchases, you will maximize the 1% cash-back available to use towards Disney rewards. It’s important to remember that, although you earn Disney Dream Reward Dollars by using the card, it’s still considered a 1 % cash-back card. As such, you are limited in the number of ways you can maximize points. Obviously, the more you use the card, the more Disney Dream Reward Dollars you will accumulate. But don’t go overboard with your spending to increase your cash-back amount! Any interest accrued on a balance you can’t pay off will always offset rewards earned. The only way to redeem points is for Disney Dream Reward Dollars. Before you can redeem your Disney Dollars, you’ll need to order a Disney Rewards Redemption Card. It’s a reloadable card that holds your Disney Dollars until you are ready to spend them. This is very similar to the American Express Serve® Card. One Disney Dream Reward Dollar is equal to $1 when you redeem them for Disney products and offerings. Whether you redeem for a $99 Walt Disney World Park ticket or a $55.95 Star Wars costume, Disney Dream Reward Dollars are always worth $1 each. You do have quite a few options for using your Disney Rewards Redemption Card, whether purchasing a voucher or vacation rewards. However, all of your redemption options are of course Disney-related. Consider it a great way to budget your spending, or to give your kids a gift that makes them feel like they have their own money to spend! Get vouchers for Disney DVDs, games, toys, and music. The vouchers come in denominations of $10 (toys, music, books, and games) and $15 (DVD & Disney Blu-ray). They expire one year from the month during which they were purchased. Movie vouchers are good for admission to Disney movies. Each voucher can be redeemed for one admission to a Walt Disney Pictures or Star Wars movie playing at participating theaters. Disney Dream Reward Dollars can also be redeemed for hotel stays at Disney Resorts, seasonal park passes, Disney Cruise Line spa experiences, souvenirs, and much more. Use your Disney Dollars to cover the full value of your Disney reward or a portion of the cost. See a list of locations where you can redeem your Disney Dream Reward Dollars here. No matter how you decide to redeem your Disney Dream Reward Dollars, you will have the opportunity to create some fun memories for yourself or your family! There are no additional partners with this card. Allow 6 to 8 weeks for delivery of your Disney gift card sign-up bonus. To receive the bonus, you must either be a new cardmember, or not have received the bonus for this card within the last 24 months. The Disney gift card is not redeemable for cash, and it will not be replaced if lost or stolen. Disney Dream Reward Dollars expire 5 years from the date they post to your account, and there is no limit to how many you can redeem. You cannot earn Disney Dream Reward Dollars on balance transfers, cash advances, or checks that access your account. Once ordered, it takes 2 to 3 weeks for Disney Rewards Redemption Cards to arrive. You may only have 2 active cards at one time. There is no expiration date. After you request a card, Disney Dream Reward Dollars cannot be transferred from your Redemption Card back into your rewards account balance. Some items are excluded from the 10% Disney Store discount, including theme park passes, Disney INFINITY, video games, Disney electronics, art & collectibles, and more. See a full list of exclusions here. The Chase Disney Rewards® Visa® Card does not have as many purchase and travel benefits as other cash-back cards. However, it does have a few. Here is a list of those and the rest of the benefits. Purchase protection – Get reimbursed for damaged or stolen purchases up to $500 within 120 days. Extended warranty protection – Add 1 year to eligible manufacturer’s warranties. Baggage delay insurance – Receive up to $100 a day for 3 days when essential purchases are delayed more than 6 hours by the carrier. Disney and Star Wars character meet & greets – Receive special privileges in designated areas for card holders to meet and greet with the various Disney and Star Wars characters. Great way to skip having to wait in the long lines! Savings on select merchandise, dining, and guided tours – The card offers special discounts and savings on a variety of things. See the card benefits package you receive or the terms and conditions online for more details, because there are certain exclusions. 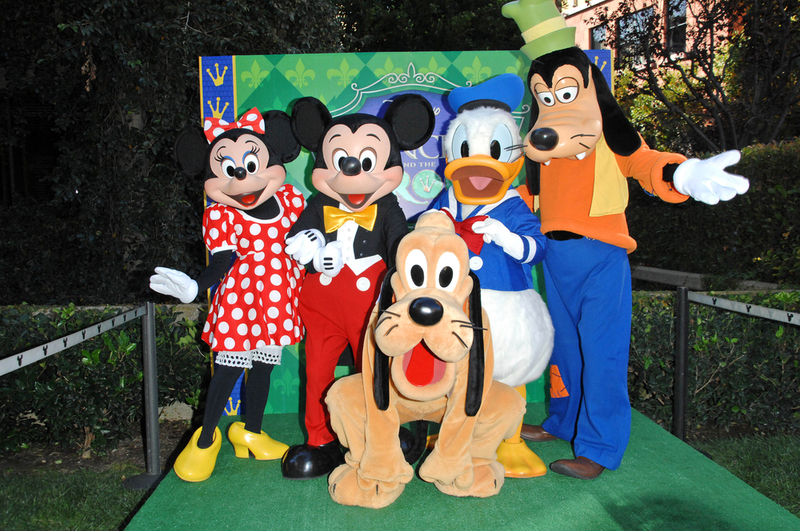 0% APR for 6 months on Disney vacations – A great way to finance a trip if you need to. Note that the 0% APR only applies to certain vacations, so you’ll likely have to do some research or call to make sure the one you want is covered! Save 10% on select Disney and Star Wars merchandise for purchases over $50 – The savings can change at any time, but in general you will save 10% on all merchandise purchases valued at $50 or more for Disney and Star Wars. Redeem cash-back toward Disney services and products – Redeem cash-back for Disney theme park tickets, resort stays, dining, Disney movie tickets, DVDs, toys, costumes and more. Is it worth it to get the Chase Disney Rewards® Visa® Card? Disney fans will enjoy the 1% cash-back on all purchases that can be redeemed for Disney Dream Reward Dollars. You can use your Disney Dollars for Disney and Star Wars merchandise and vacation rewards. There are many perks that come with the Chase Disney Rewards® Visa® Card, such as special Disney and Star Wars character meet & greets. You also get 10% off purchases of $50 or more at Disney Store and DisneyStore.com, as well as 10% off select dining and merchandise at Walt Disney World and Disneyland. Another unique benefit is a 15% discount on guided tours at both Disney Resorts. Where can I get the Chase Disney Rewards® Visa® Card? Apply for the card using one of our links or via Chase.com. Where can the Chase Disney Rewards® Visa® Card be used? The card can be used for all of your everyday purchases. You can then use your cash-back for redemptions on Disney products by redeeming Disney Dream Reward Dollars. When you redeem the cash-back, it has to be in increments of $20, and it will be put onto a pre-paid gift card that you can use at any Disney owned property or store. Is there an annual fee on the Chase Disney Rewards® Visa® Card? No. There is no annual fee. What are Disney Dream Reward Dollars? Disney Dream Reward Dollars are currency you can use toward Disney products or offerings. One Disney Dollar is equal to $1 when you redeem them. Before using Disney Dollars, you must load them to a Disney Rewards Redemption Card. When do Disney Dream Reward Dollars post to your account? Disney Dream Reward Dollars post to your account at the end of the billing cycle in which they accrued. Where do I redeem cash-back for Disney Dream Reward Dollars on my Disney Rewards card? You redeem Disney Dream Reward Dollars by requesting a Disney Rewards Redemption Card. The Disney Rewards Redemption Card holds your Disney Dream Reward Dollars so you can use them at Disney theme park ticket booths, Disney resorts, Disney cruise lines, and more. Once you have 20 Disney Dream Reward Dollars, you can order a Redemption Card by calling 1-800-300-8575. You can also order them online or at Disney parks. When do Disney Dream Reward Dollars expire? Your Reward Dollars on your account expire 60 billing cycles after the billing cycle in which they first posted to your monthly billing statement. Which Disney rewards card is best? There are 2 major differences between the Chase Disney Rewards® Visa® Card and Chase Disney Premier Visa® Card: annual fee and cash back. While the Chase Disney Rewards® Visa® Card has no annual fee, the Chase Disney Premier Visa® Card costs $49 per year. It also earns 2% back at restaurants, supermarkets, and gas stations, rather than a flat 1%. Both cards provide access to meet & greets and the 10% merchandise discount. Does the Chase Disney Rewards® Visa® Card have a 0% APR offer? No, however, you do receive a 0% APR for 6 months on select Disney vacation packages. Which travel partners are associated with the card? There are no travel partners associated with this card. Does the Chase Disney Rewards® Visa® Card have a foreign transaction fee? Yes, there is a 3% foreign transaction fee. What is the Chase Disney Rewards® Visa® Card login? Log in to your account at https://www.chase.com/.